Counsel for Clinton was Williams & Connolly LLP, James P. Chandler, III’s choice to pursue the first Economic Espionage Act prosecution in Aug. 28, 1998. Such a relationship should have put Williams & Connolly off limits as totally conflicted vis a vis the Justice Department and Hillary’s defense. Williams & Connolly LLP for Hillary was essentially negotiating with their James P. Chandler III, economic espionage bunk buddies at the DOJ. They also defended IRS criminal Lois Lerner AND filed the Clinton Foundation’s first IRS tax return in 1998. But this is all a lie…because James Comey kept a copy of the emails in his office….and FBI Director Christopher Wray has them to this day, according to his congressional testimony. This note above comes from our recollection in listening to Wray’s testimony. We are working now to search for a specific link in the transcript so that you can verify yourself. Will post as soon as we find it. If you find it first, please send it to us. Original was 100+ MB and clearly not manageable by a citizen of ordinary skill in computer use. This version has been indexed and compressed to a management 18.6 MB. Once the PDF is open use CTRL F to find the words you are looking for in the testimony. A small box will appear on your screen once the CTRL F is open. This is where you type the words you are looking for. Try typing in ‘Senior Executive Service’. See how the number of entries come up? Now you can go through the highlighted text and find out what Strzok had to say about SES. Thank our amazing researchers for providing this format to you! How to make the frame up of Donald Trump stick using Carter Page’s naive attachment to making Russian energy deals. Carter Page was an FBI cooperating witness in 2015. Records indicate the FBI never viewed him as a potential foreign intelligence agent for Moscow. Court documents also show that Page fully cooperated with the FBI as soon as he learned he had been duped by Russian agents. In his sworn 2015 complaint against Buryakov, FBI special agent Gregory Monaghan portrays Page — referring to him as “Male-1” — as a guileless victim, and described how Buryakov and other Russian agents tried to take advantage of the American businessman, who was unaware he was dealing with foreign spies. The FBI agent further attested that the Russians never told Page they were “connected to the Russian government,” and that Page was only “interested in business opportunities in Russia,” where he had worked for years for Merrill Lynch and as an independent energy consultant. In the end, the Russians were unable to recruit Page and never received any state secrets from him. Monaghan did not recommend espionage or any other charges against Page, who by all accounts acted as a reliable and trusted witness in the case. Far from being a Russian spy, Page was characterized to the court as someone who helped the FBI catch Russian spies. Here, the FBI is warning Page about the Russians he is speaking to and cooperating with them. Page truly appears to be a classical naive American beguiled by the mysteries of working with Russians. (Been there, seen this many times.) The Russians play with American naivete. COMPLAINT, Doc. No. 01. (Jan. 23, 2015). U.S. v. Buryakov, Sporyshev, Podobnyy, 1:15-cr-00073-RMB, “MALE-1” = Carter W. Page. (SDNY 2015). This is one of the other people who attended the dinner. Alison Saunders, C.B. (Dec. 29, 2012). 2013 New Year’s Honours, Order of the Bath, Supplement No. 1, N3. The London Gazette. In the 2013 New Year Honours, she was appointed Companion of the Order of the Bath (CB) “for services to Law and Order especially after the 2011 London Riots”. We told you the Brits did it. Unless proven with court documents, at the time of Kamala’s birth, her parents were not U.S. citizens. They were foreign students. At the time of her birth, she was the daughter of non-citizens. This makes her an anchor baby. She is not eligible to hold the office of president. Start doing your part as a citizen and reveal the crimes of the swamp yourself. Rise and shine, y’all AIM CATS (Citizens Addicted to Truth)! Michael, Douglas, and Tyla are preparing to knock out some amazing topics for you guys while Michael is visiting the Conclave this week. We will also be uploading a few radio show recordings from other channels — which we will be making available to you once the host uploads them to their channel. The videos below are our “warm up” discussions from the night before recording day. We think you will find some interesting topics to chew on while we prepare our next round of BLOCKBUSTER revelations for our highly inquisitive and intelligent truth community. Here are some additional items we picked up about this fake news “reporter”. “Did you know that Jacob Engels was Roger Stone’s assistant?” Then Party NXS gave us this link below. We didn’t know this….and now the story is getting very interesting. Our reply: Isn’t the internet a wonderful thing for discovering truth? Thank you for this glass bead. Roger Stone Interviews FAKE NEWS REPORTER Jacob Engels. 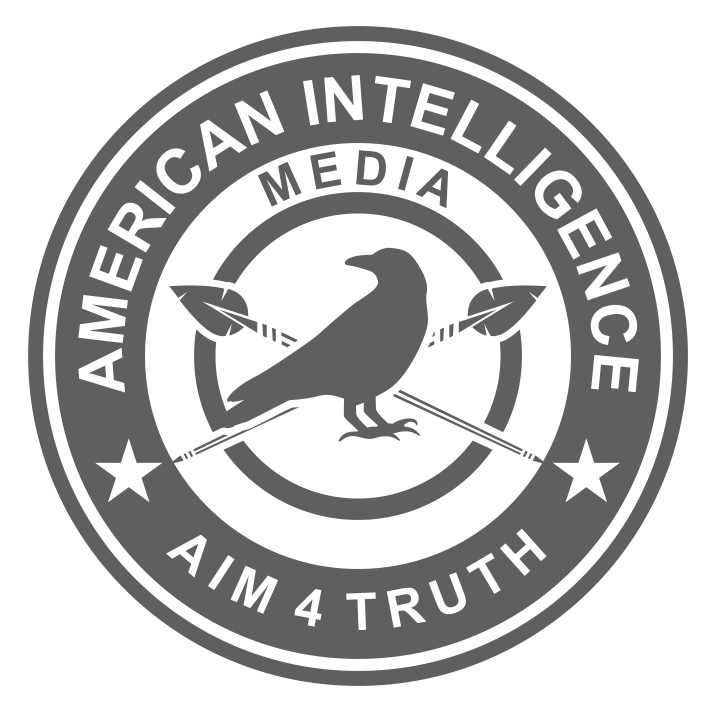 AIM Patriot Michael McKibben had an excellent interview with Ann Vandersteel back in January. Then take a moment to vent with our high-energy swamp video just below.